IceNews has been covering the conversation between the Nordic Choice Hotels sustainability campaign, DearTripAdvisor, and TripAdvisor, with its GreenLeaders program. We first covered DearTripAdvisor here, then followed up with a response from TripAdvisor’s Marketing Manager Jenny Rushmore. Now, Nordic Choice Hotels has returned with a statement. TripAdvisor is the target of a new initiative, DearTripAdvisor, seeking to create a greener hotel industry using customer ratings. The initiators, Comfort Hotel by Nordic Choice Hotels and Norwegian Rainforest Foundation, believe the hotel rating website should change its approach and allow millions of users to rate hotels for their sustainability efforts. Adding sustainability as a key rating indicator in TripAdvisors hugely popular and global hotel rating system will force every single hotel to address their environmental responsibility, thus making sustainability a necessary and top priority in the worldwide hotel industry. As the world’s largest travel site, TripAdvisor has revolutionized the industry with its customer based rating system. 315 million unique monthly visitors log on to check what other users are saying about restaurants, attractions and hotels worldwide. A high rating on TripAdvisor’s six key indicators has a significant impact on an establishment’s ability to attract customers, and therefore also on revenues. Globally, over 1 million hotels are listed on TripAdvisor.com. -As a go-to source of uncensored, user based hotel reviews, TripAdvisor is unrivalled. Their massive trend-generating capital provides an opportunity to make sustainability a top priority for hotels worldwide, says Simen Vinge, Director of Marketing for Comfort Hotel and spokesperson for the DearTripAdvisor initiative. DearTripAdvisor requests the travel site to add a seventh key indicator for sustainability to its main rating system. TripAdvisor responds by saying it already has a sustainability program, GreenLeaders. 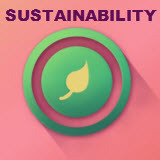 -Adding sustainability as a key ranking indicator along with the other six will force every single hotel to address their environmental responsibility. This simple solution will therefore create real and universal change. GreenLeaders is a great program, but it is first and foremost a marketing opportunity for hotels already invested in sustainability, says Vinge. GreenLeaders is a certification program managed centrally at TripAdvisor’s headquarters. The program ranks hotels from GreenPartner, then through Bronze, Silver, Gold and Platinum. Guests can search for those ratings and use them to choose where to book, and they can also write a review specifically of the green practices. -TripAdvisor’s legitimacy lies in a rating system based on uncensored public opinion. The fact that applying hotels are subject to expert review, rather than customer evaluation, contradicts the democratic philosophy on which TripAdvisor is built, says Vinge. GreenLeaders was launched to highlight hotels and B&Bs with green initiatives. Currently, 8000 hotels are part of the program. – Claiming GreenLeaders works as an alternative to the DearTripAdvisor proposal is incorrect. A mere 0.8% of hotels on TripAdvisor have chosen to be rated on sustainability. Adding the seventh indicator would make 100% of hotels directly accountable to customers, and force them to rethink their environmental responsibility, says Vinge. DearTripAdvisor co-initiator, Rainforest Foundation Norway, agrees with Vinge that hotels should be held accountable to a greater extent. -As the natural resources of the planet are depleted at an alarming rate, the demand for sustainability is inevitable. The hotel industry is no exception. I think TripAdvisors customers would agree. With power comes responsibility and the ball is in your court TripAdvisor, says Dag Hareide, Director of Rainforest Foundation Norway. DearTripAdvisor vows to continue their campaign, and are grateful for the support they have received so far.